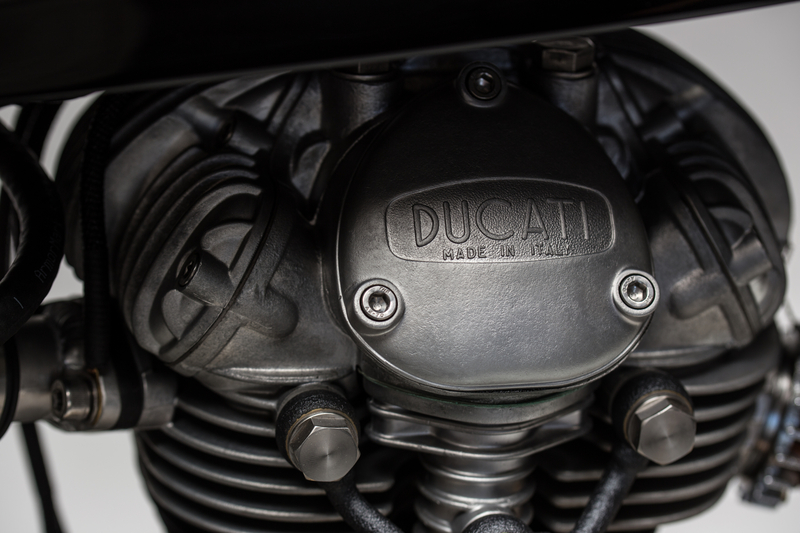 Ducati might now be synonymous with the scrambler moniker thanks to the recent emergence of its hugely successful sub-brand but the little mud-plugging single-cylinder bikes of the 1960s didn’t exactly set the world on fire. 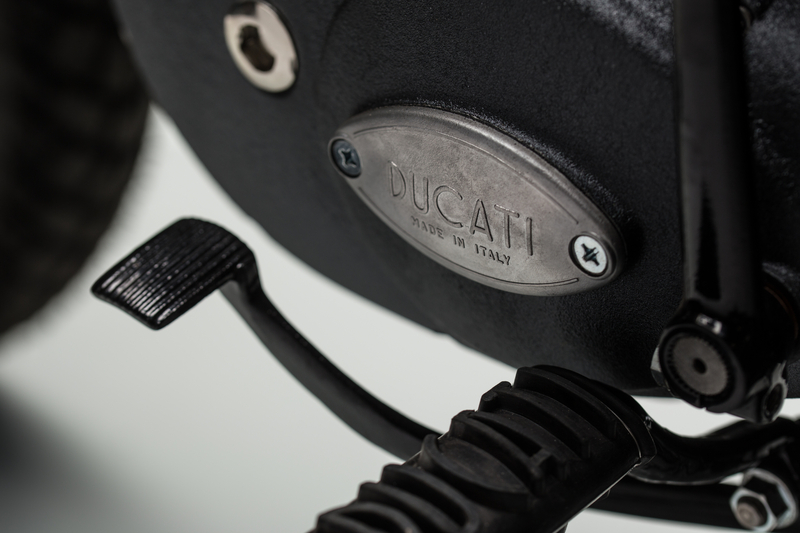 Regardless, and to get a little geeky for a second, these early singles were the first to sport Ducati chief engineer Fabio Taglioni’s innovative desmodromic valve system, which would go on to be a hallmark of the Italian brand, and are therefore very worthy of attention. 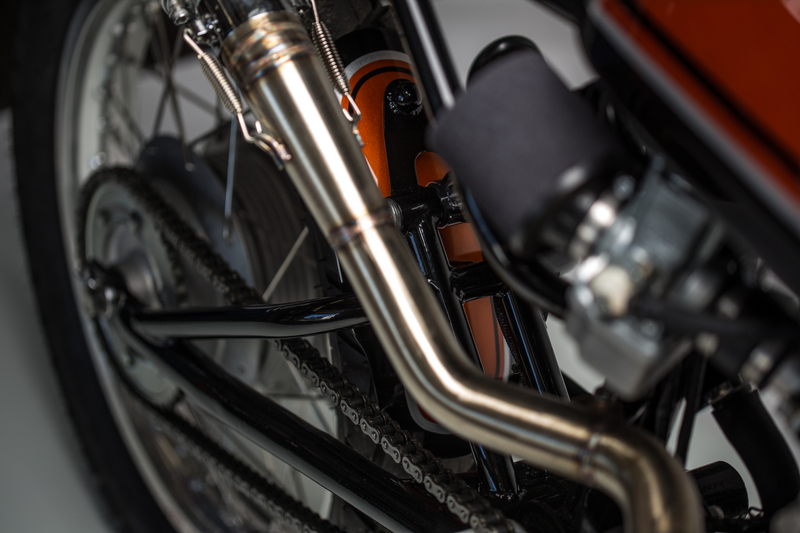 Alas, there was no love lost between Sean Skinner from MotoRelic in Hamilton, Virginia and this particular 1965 Ducati 250 Scrambler project, which proved so troublesome at points he believed it was actually cursed. 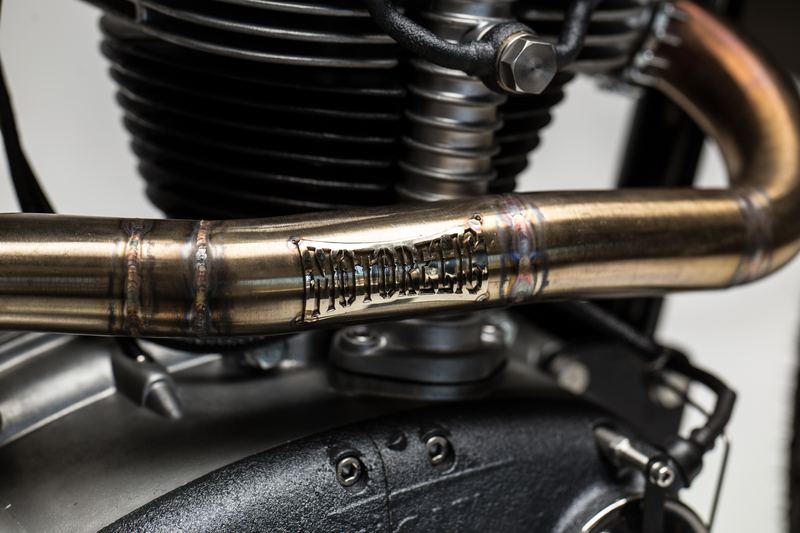 “I feel the name is fitting for this bike, since every part of this build was a fight from the beginning to end,” he explains. 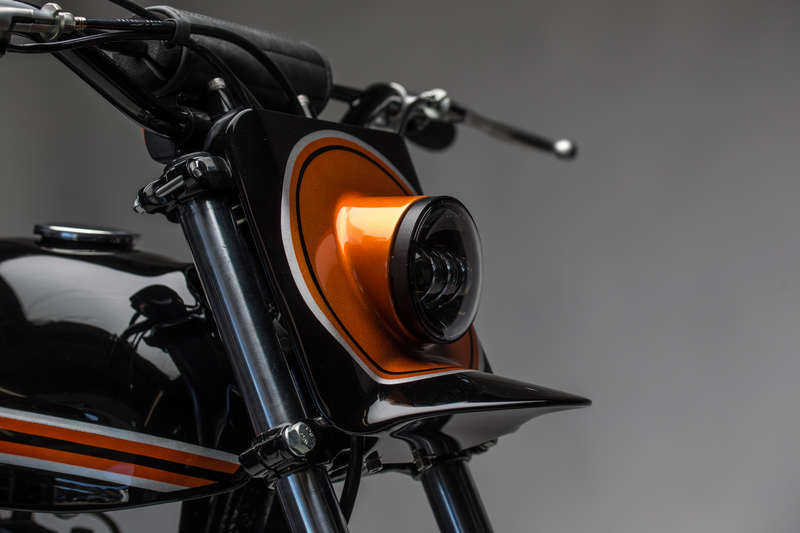 “The bike came to me in a bit of a chopper-ish form. The frame was butchered and partially hard-tailed. I cut everything away, leaving the swingarm and the frame around the engine,” he adds. From here, Sean added a fresh set of Excel rims and raided his stockpile of Suzuki TS250 parts to mock up the front end, which would later have to be machined and hand-fettled to fit. There’s also a bespoke mono-shock set up at the rear, a Suzuki T350 fuel tank and a bespoke headlight assembly that nearly beat Sean. “I don’t know why I put myself through the torture really,” he explains. 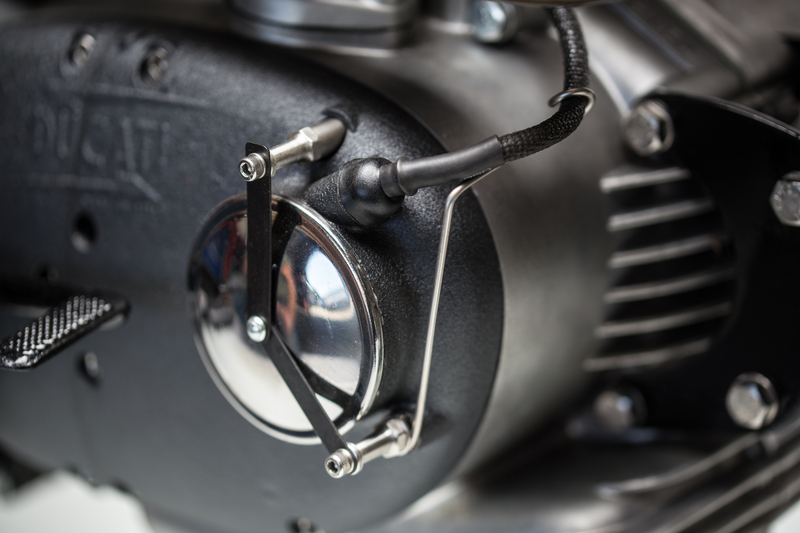 “They assembly doesn’t look like much but when you take a light that is meant to be mounted only one way and you have to mount it another, things can get difficult. 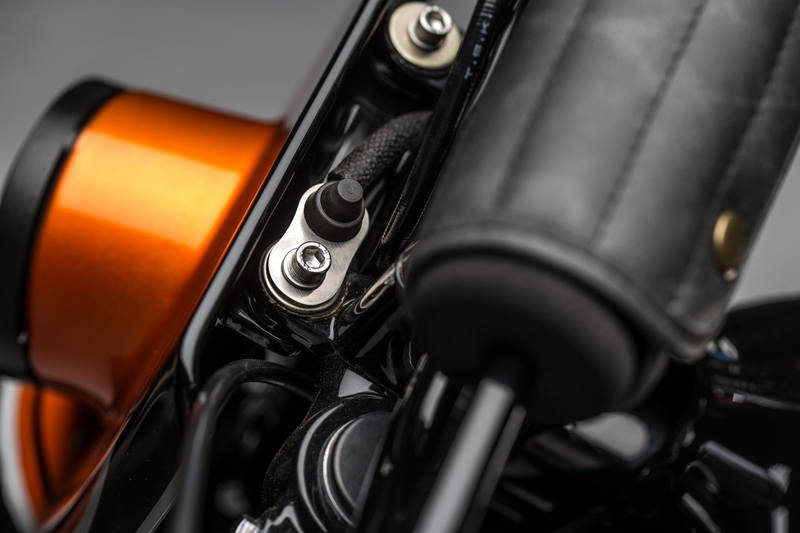 “There were many hours in that damn headlight, number plate, mini fender thing, but when it was mounted on the bike it was clear that the fight was worth it,” Sean adds. Throw in some major mechanical issues with an engine that is 53-years old and it looked like the Dastardly Ducati was shaping up to fit its namesake nicely, but Sean came through and a staggering burnt orange and black paintjob finishes off this fine specimen. “It was a difficult and delay-filled build but a road test makes it all worth it,” says Sean. 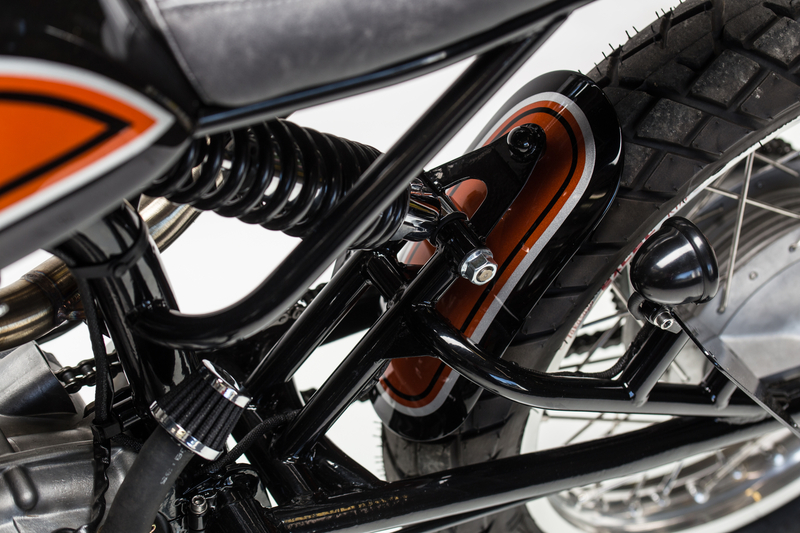 Check out the MotoRelic website for more information on Sean’s impressive builds.